"Why you must fly Virgin upper class... at least once in your life" . You may think from the title that you could never afford to fly upper class, but so did I. I guess if you love travelling and hate flying like me and would do anything to feel more comfortable on a plane, or you are looking for a very special treat then it's certainly worth looking at your priorities and see if you can afford it. Alternatively sign up to the Virgin Flying Club - their loyalty scheme, and look at all the ways you can earn Virgin miles. The trip was a very special trip for our 10th wedding anniversary and my birthday combined. We had already signed up to Virgin’s Flying Club on previous trips. This airline loyalty scheme meant every time we fly with Virgin we accredit miles which can be used towards flight upgrades. He used miles plus money to get us a return to Atlanta at half the cost of a normal upper class ticket. From Atlanta we would be moving onto New Orleans, then Memphis and Nashville for our trip of the American 'deep South', but more of that in posts to follow. So it was with excitement and trepidation I was ready on the morning of our flight. On of the perks of upper class travel on Virgin Atlantic is that there is a separate entry to check in and separate security at Heathrow. We had an email 24 hours in advance asking us if we wanted to arrange the upper wing check in and so we did. To arrange this you need to let them know what time you will be arriving and the registration number of the car (or taxi) so you can get to the security entry. This was easily arranged, my husband just rang through the taxi number when we were on our way. Some upper class tickets include a complimentary chauffeur driven transfer. I guess it depends if your ticket is discounted or not, as ours was. 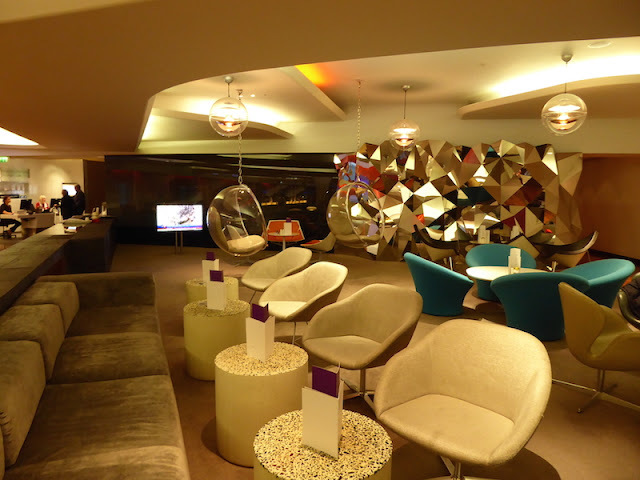 The Virgin upper entry at Heathrow is very cool and stylish. We handed in our boarding passes that we had printed off and we were checked in, in literally less than 2 mins. We actually didn't even need to print our boarding passes as they had already done this for us. Very impressive. We were then told to go through to security - again this is a separate security for Virgin upper class passengers. With only one family before us, this was very calm and the process was extremely quick. Before we knew it we were through security and looking at the shops in Heathrow. Heathrow has an amazing selection of shops - everything from high street brands like WHSmith and John Lewis, to fashion brands like Michael Kors and Ted Baker and designer brands like Chanel and Hugo Boss. 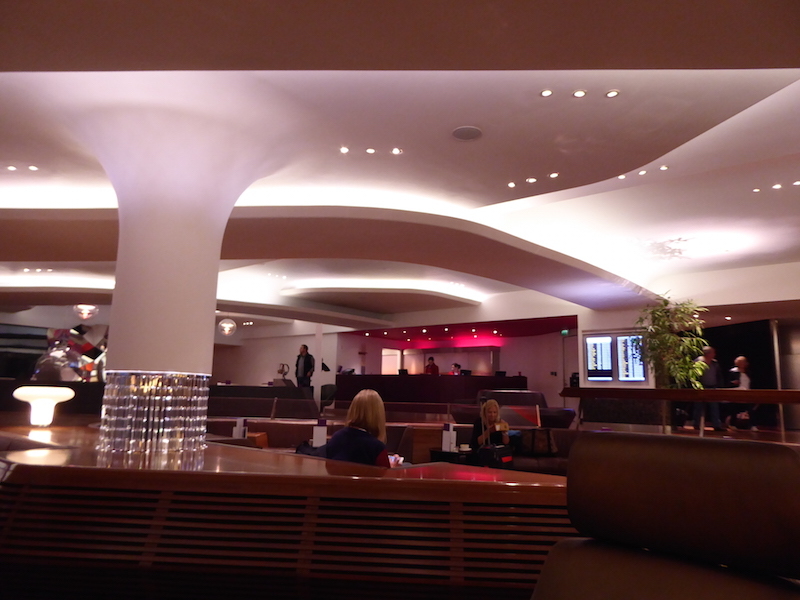 Then it was time to find the Virgin upper class lounge. The lounge is actually quite beautiful. 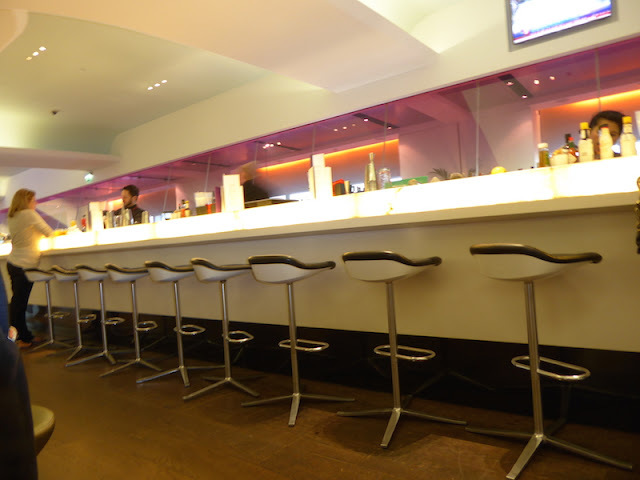 There is a large cocktail bar in the centre of the lounge, and lots of comfortable tables and chairs, nooks and crannies to relax in. "The lounge is actually quite beautiful"
There is a hair salon where you can have a hair cut or even a massage. Some of the services are free while others you have to pay for. The food and drink is complimentary. There is a deli bar - and at this time of day (7am) they were serving breakfast and also waiter service for anything you wanted off the menu. 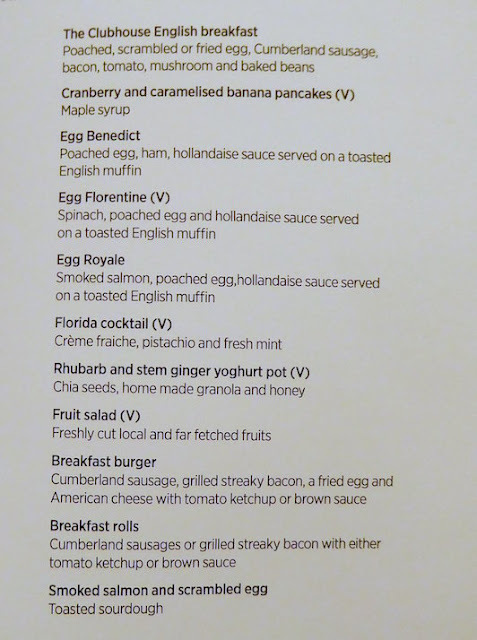 We ordered fresh fruit salad and orange juice and my husband ordered a bacon roll. If you wanted to you could have almost anything to drink, from a coffee to champagne all day, every day, and anything off the food menu which changes due to the time of day. As I wanted to eat on the plane and it was still early I didn’t eat anything else in the lounge. After breakfast we had a wander around and checked out the other facilities in the Virgin upper lounge, such as the roof top garden where you can sit and watch the planes. Before we knew it, it was time to catch our flight. When you board the plane you are called first, and we walked up to the plane though the dedicated upper entrance at the front of the plane. The seats in upper class are like little cocoons, you have plenty of space to put your legs out in front of you. The seats are angled away from the window which is the only negative point. There must have been a reason for doing this but you can’t see out of the window even if you are in a window seat - which I thought was a shame. As well as reclining, the seats can fold flat at a touch of a button. If can be a bit fiddly to do this though so the flight attendant helps you with this. There is a proper duvet and pillow available if you want to get some sleep. "The flight attendant remembered my name"
Service was impeccable. What impressed me is that the flight attendant introduced herself and showed me all the facilities on board and explained how to work everything. She also remembered my name - little things like this made the service very special. 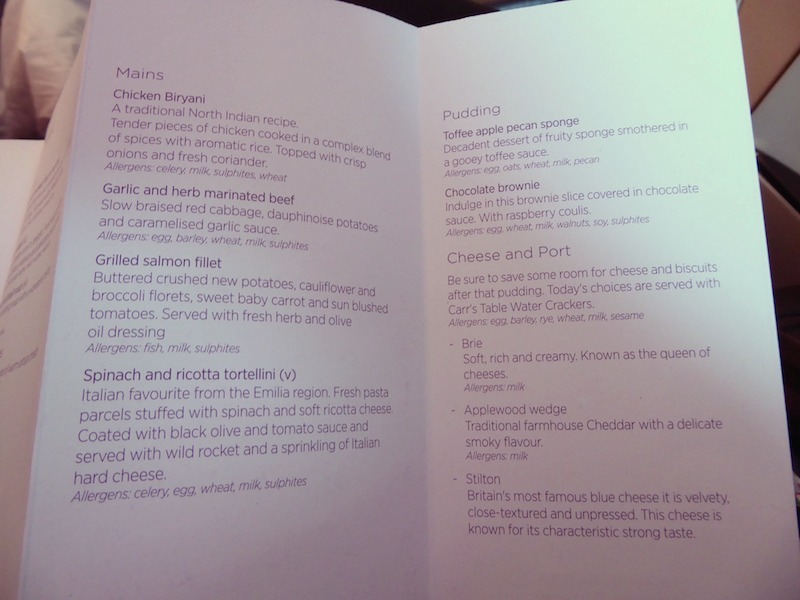 The food was very tasty and definitely the best I have had on an aeroplane. 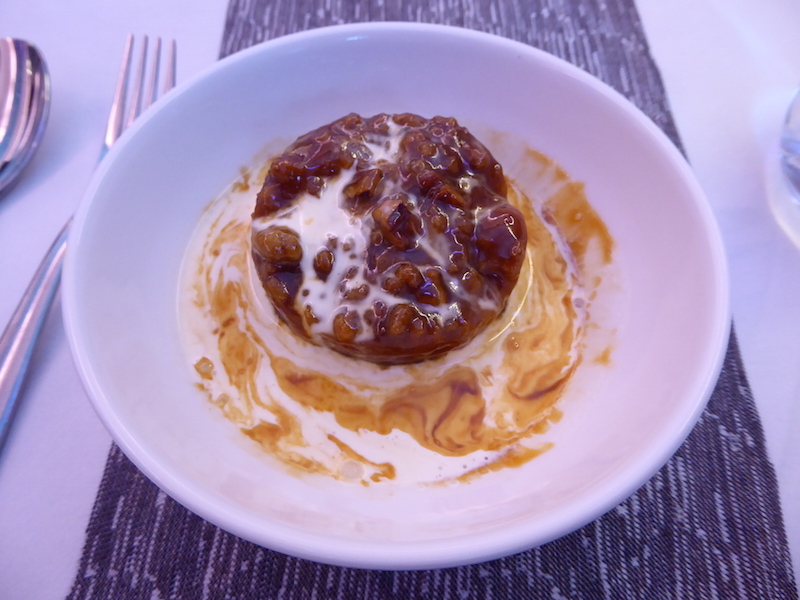 The dessert of toffee apple pecan sponge with cream, was exceptionally delicious. "The best food I have ever eaten on a plane"
Starters - a choice of chicken and smoked duck terrine, Waldorf salad and tomato and basil soup. Everything was well presented on china dishes with proper cutlery, even a small table cloth. There was even Virgin’s trademark aeroplane salt and pepper shakers. "Proper china and stainless steel cutlery"
If you still had room at the end of dinner there was an option of cheese, crackers, grapes and chutney, washed down with a glass of port if you wanted it. Drinks on board included anything from juices, tea, coffee, hot chocolate to spirits, cocktails and champagne, and these were served regularly. After the obligatory glass of champagne (after all, it’s not every day I go upper), I tried a raspberry Bellini, which was very well made and later a glass of Chardonnay with my meal. The little things were impressive. There was a choice of different types of bread roll for example, and these were served warm. The air hostess came around before dinner with a choice of wine and asked if I wanted to taste it. The wine was wrapped in a white napkin. The food doesn't stop there though, oh no. 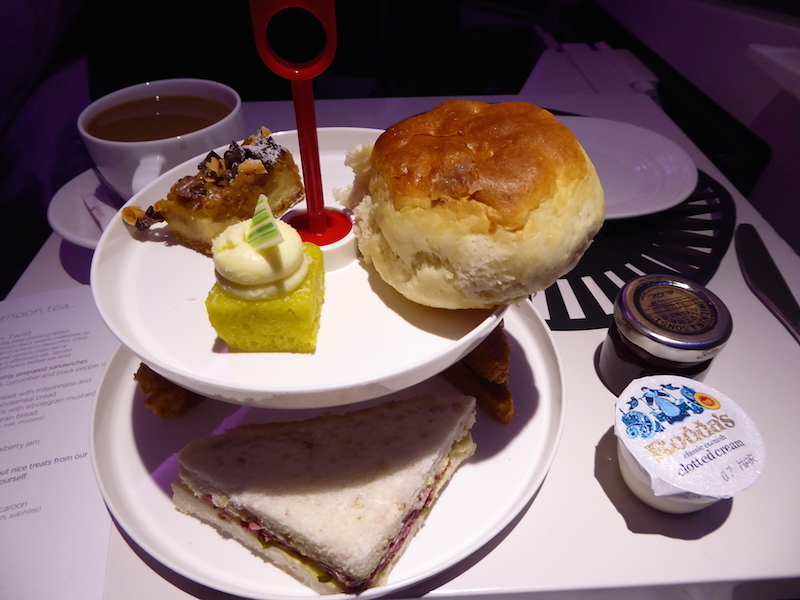 A couple of hours before the plane landed, we were treated to afternoon tea. A selection of sandwiches, dainty cakes and a warm scone was served with tea or coffee. Now at this point I did think the afternoon tea would come on china plates with a little tea pot, so I was a tiny bit disappointed when it was served on a plastic afternoon tea stand, with no tea pot in sight. I guess the disappointment was because everything else had been so perfect. After the dinner was served on proper china with a choice of wine, I felt the presentation of afternoon tea lacked a little finesse. 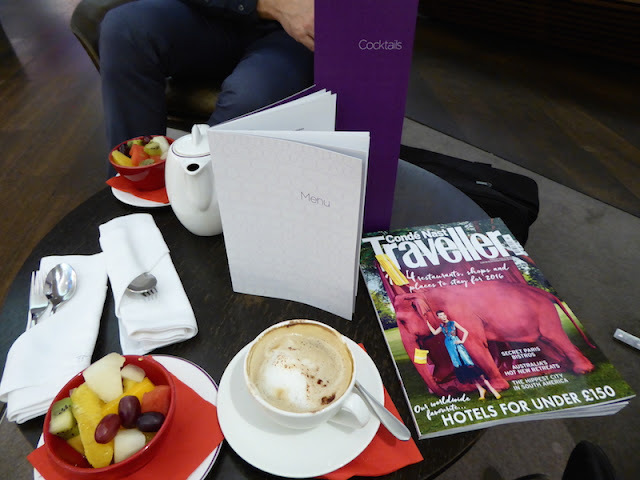 Although drinks were served at your seat you could also go and sit at the bar, at the end of the upper class section where you could have a drink, read from a selection of magazines or chat. There was also a small food menu you could eat at the bar. There is an amenity pack on your seat as you board the plane. This contained toothpaste and toothbrush, ear plugs, an eye mask, warm socks, lip balm, face cream and hand cream, all in a useful travel wash bag. I found the toothbrush and toothpaste very useful after an 8 hour flight, and it is great that the washbag is a quality product that you can use again. The entertainment system was very similar to what I had used in premium economy before with a large choice of movies, many fairly new, TV programmes, music and 20 or so games such as Hold Em Poker, Tetris, bowling and others. They gave you noise cancelling headphones to use on the flight which were excellent at drowning out background noise. A big thumbs up from me on this one. The TV was in the side part of the seat and was movable so you could pull it out in front of you for a better view. There is a side section with USB plugs so you can charge any phone or laptops you have. 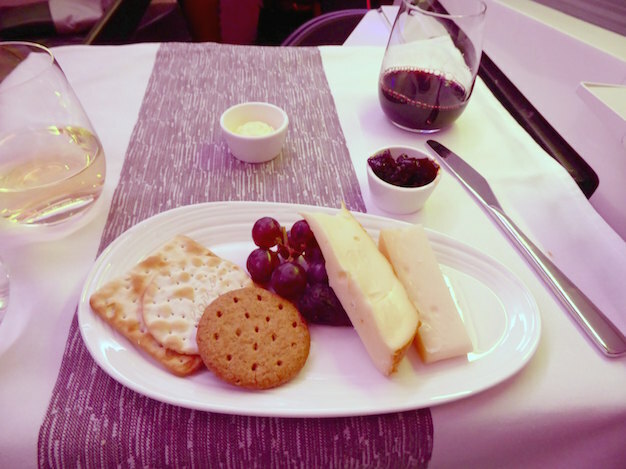 We used our miles and money to upgrade through Virgin Flying Club. Virgin customer service were very helpful. I recommend you ring them before booking as they helped my husband book the best way. It was actually cheaper to book an economy flight, buy miles to add them to our current balance and then use them to upgrade to upper. It sounded complicated but my husband said the customer service staff were excellent at offering advice and assisting with the booking process. 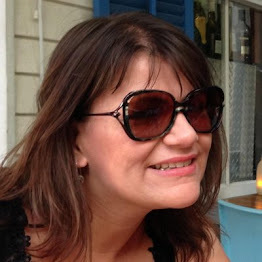 For a greater insight into how this works check out this link by on the Money Saving Expert blog. 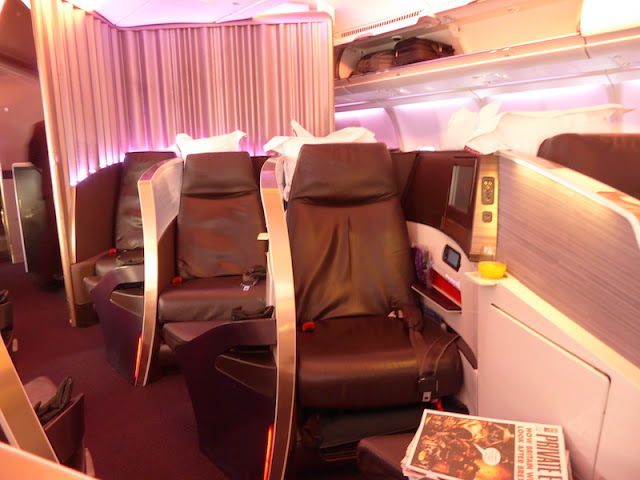 If you have the money, or manage to upgrade through the Virgin Flying Club using your Virgin miles, you must, at least once in your lifetime fly Virgin upper class. 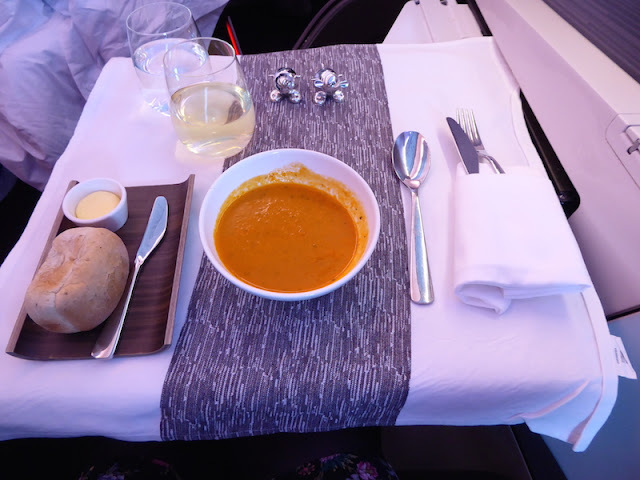 I've tried business class on BA and whilst it is a good product Virgin upper just does not compare - it is so much better. 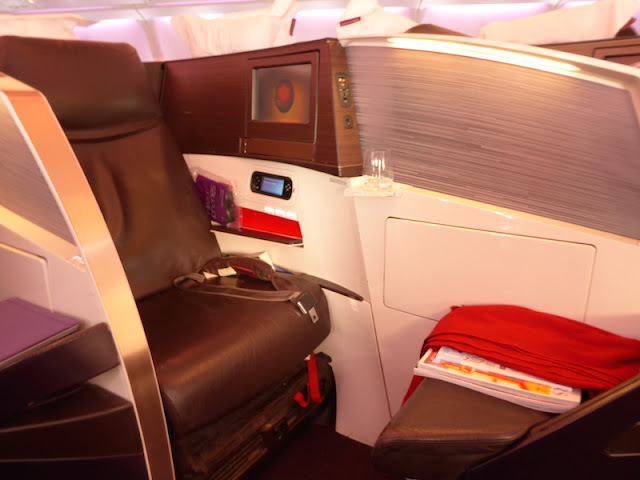 Some airlines offer a first class option which costs much more again but the cost of Virgin upper is achievable for many people. For a special occasion - birthday, anniversary, or wedding for example, why don't you treat yourself! No fuss security, an excellent lounge, spacious seating with flat beds, personal service and exceptional food make Virgin upper class a wonderful experience and why you must try it at least once in your lifetime. You deserve it. Tried once you will not go back.... I've now been well and truly spoilt. It was a real treat Hannah. Hmmm...I'd rather not have known how nice it was! :-) Thanks for the amazing description. What a lovely way to start your 10th anniversary. It was a lovely start to our holiday and a great way of celebrating. Oh! What a fantastic treat and congratulation on both your birthday and 10 year anniversary! Did you manage to save up air miles on a UK credit card/similar? I keep hearing all of these fantastic stories about how Americans collects miles, but haven't really figured out how to do it as Swede/UK citizen..
You register with the 'Virgin Flying Club'. Every time you fly you earn miles. They have partners too - other companies like Hilton hotels. These partners allow you to earn miles as well. You can top up your miles by buying extra miles and this is what we did to get flights at half price. 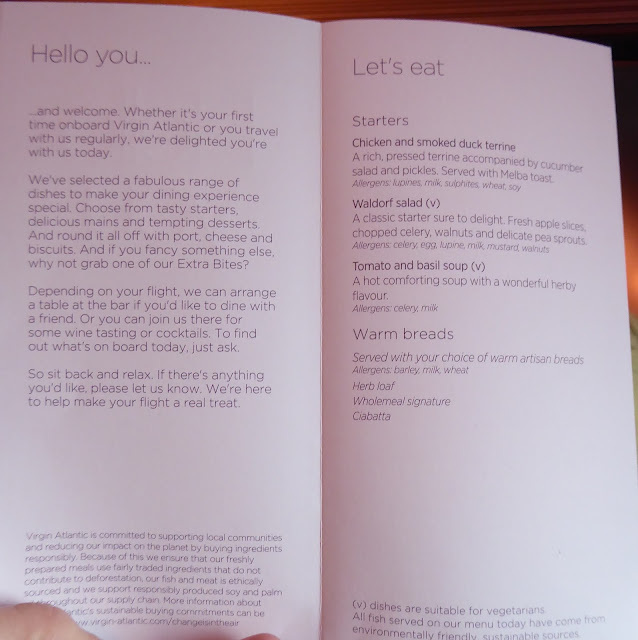 Now that is a great idea: Virgin Atlantic upper! They always offer such value flights. gotta try it for a long-haul flight! 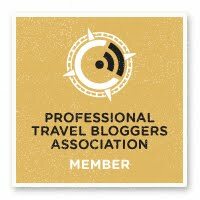 The service was excellent and being able to by pass the long queues at security was the icing on the cake. Wow, I'm impressed! The food and drink options look outstanding. A was very surprised that there is a bar on airplane, what a fun way to stretch your legs and mingle. I would definitely consider upper class for a special occasion! The quality and amount of the food and drink was excellent. 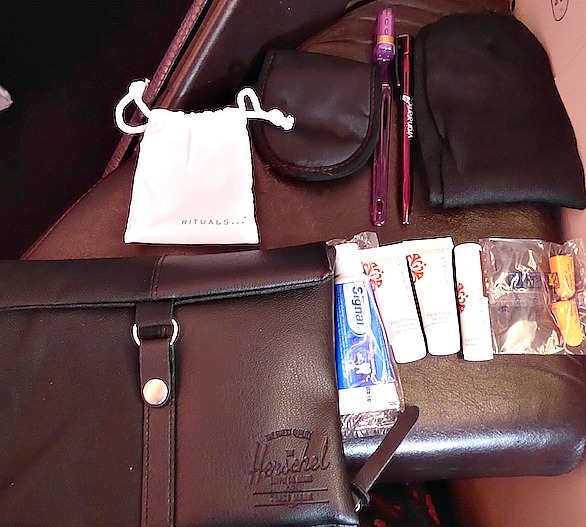 I've never flown upper class but have been on a virgin flight and loved it, the amenity bags you get are always the best!! That food looks incredible, honestly looks like your at a restaurant! The food quality was amazing to be honest. I can imagine that was! Nice to fly upper though, even if it was only one way. Flying first class is on our bucket list! Oh, to be rich or a celebrity ;) my mummy would love to do it once in her life...even if it is just for the bar!! This flight was Virgin upper class. First class is even more luxurious. I know some airlines have showers now on the planes. wow, its so stylish! From the lounge to the bar in the place, reminded me of a movie set. The food looks so good too, I wish I had some tomato basil soup now! I love the introduction in the booklet, felt very personal, nicely done. Yes Annalisa, it's the little touches that really make this a quality service. This looks amazing, I've never flown yet but this would make the best first flight! What a way to start your special anniversary holiday in such luxury! 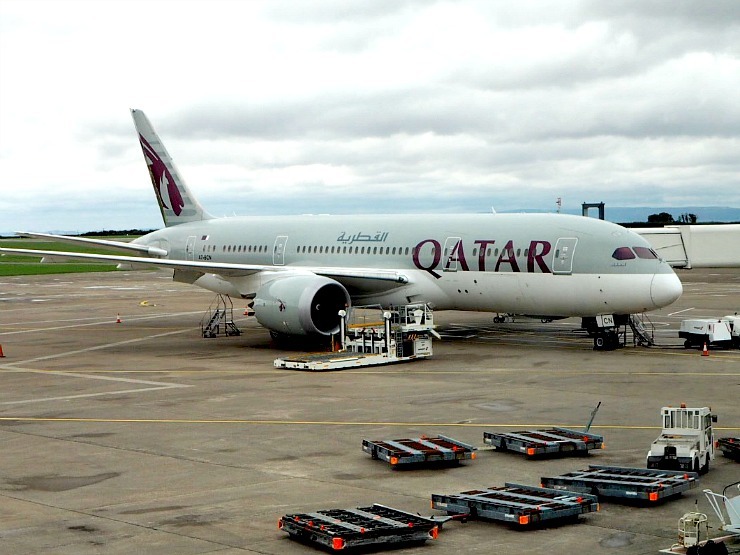 There is nothing quite like travelling upper class on a plane, air travel can be a long and tedious journey, so any thing that adds to the comfort and distraction is most welcome. I remember traveling back to the UK from Japan and being upgraded which made a 15 hour flight much more comfortable. I really want to go to Japan, so I will look at ways to make it more comfortable. Even booking an exit row seat will help. Thanks for sharing, going to use these tips! First class is truly amazing, we flew it with Emirates quite a few years ago and the whole journey was just a dream. 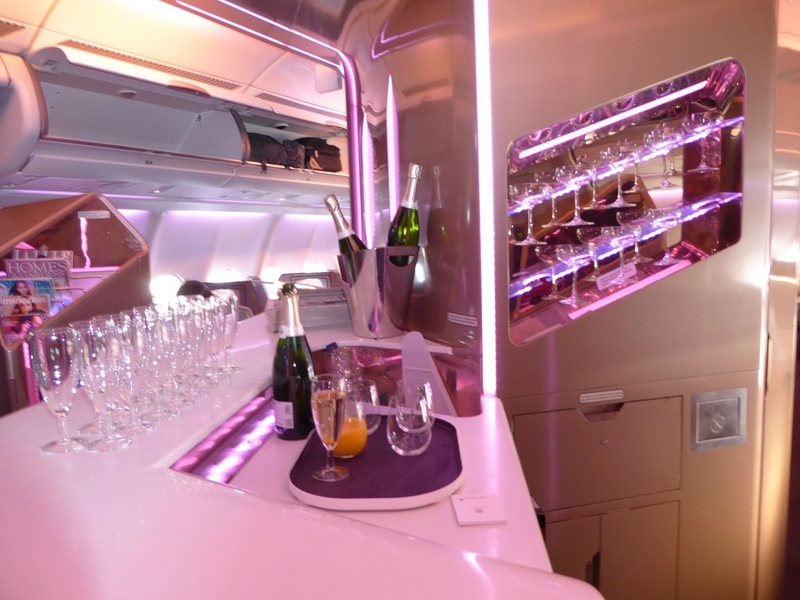 I would love to go first class, Emirates is a fantastic airline. I really want to go to Iceland. The food was amazing, we had so much to eat. That looks amazing, although the seats still look a little narrow. Would love to try this! 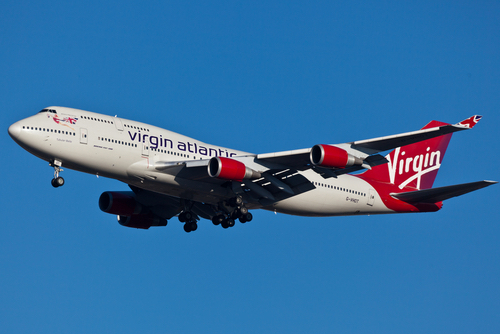 I've flown business class with British Airways a couple of times but never Virgin. Their lounge looks pretty awesome and I'm tempted to book a flight just because that soup looked awesome! The lounge was awesome and I couldn't fault all the food I had. There was so much of it too. Hope to some day get to fly upper class too. Looks like such a great experience. Love that you were served tea. Thanks for sharing. ooh we have never flew with Virgin before looks amazing. The food looks very appetising. I hate flying, absolutely hate it, but would be nice to stretch legs. We just flew to and from Italy with BA and what a nightmare it was. Glad you enjoyed your flight. Happy 10th wedding anniversary! 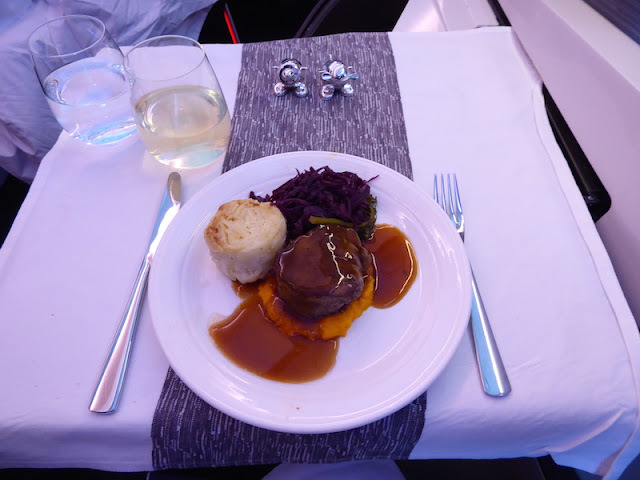 What a great way to fly by upper class! I don't think I could even afford that but wow! Thank you, and yes a luxurious way to travel.